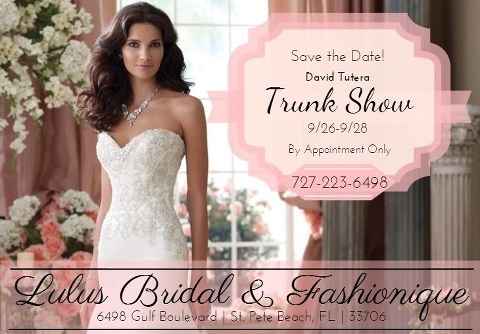 Attend the first David Tutera Wedding Dress Trunk Show in Tampa Bay at Lulus Bridal and Fashionique in St. Petersburg, Fl September 26-28th, 2014. 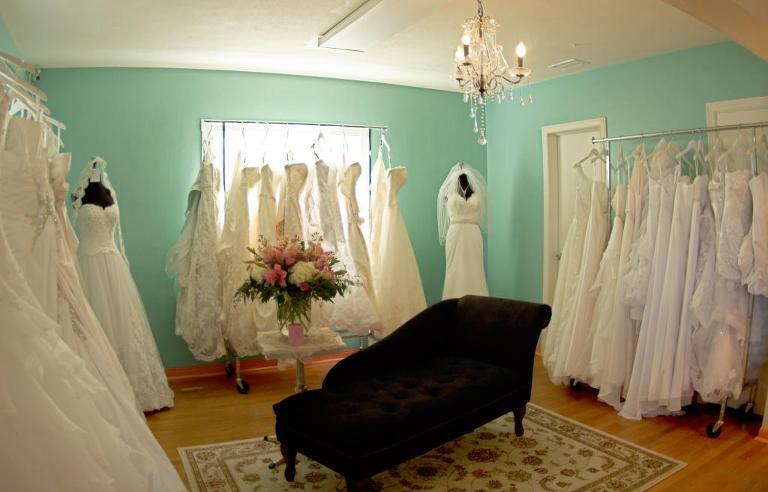 During this 3-day event, Tampa Bay brides can view the 2014 David Tutera fall line, while enjoying free food, drinks and door prizes. Appointments are filling up fast, so complete the online registration form ASAP to secure a spot. A portion of every sale will benefit Women with Purpose (501)(c)(3), a women’s group that supports local non-profit organizations in raising non-medical funds for women facing financial difficulties and health challenges.